How big are the mix on site Wagons? 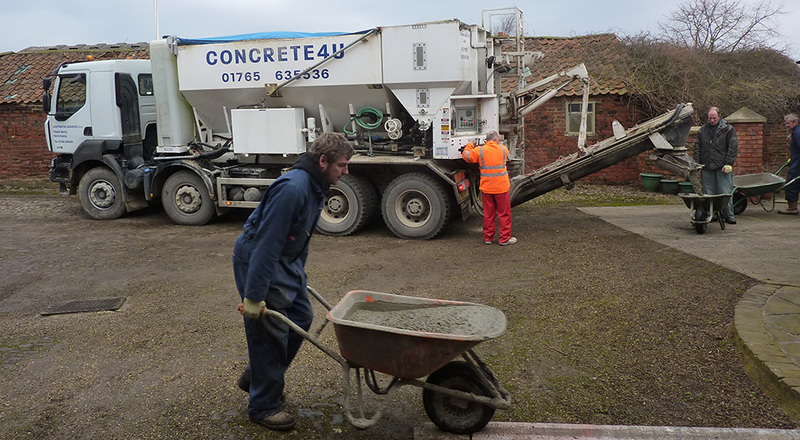 In the event that our wagon is too big for your site we have a mini-mix drum available which is 7.2 metres long and can carry 3.5 cubic metres. Please call us on 01765 635436 to discuss your needs. What times can you deliver? Our normal working hours are detailed below. 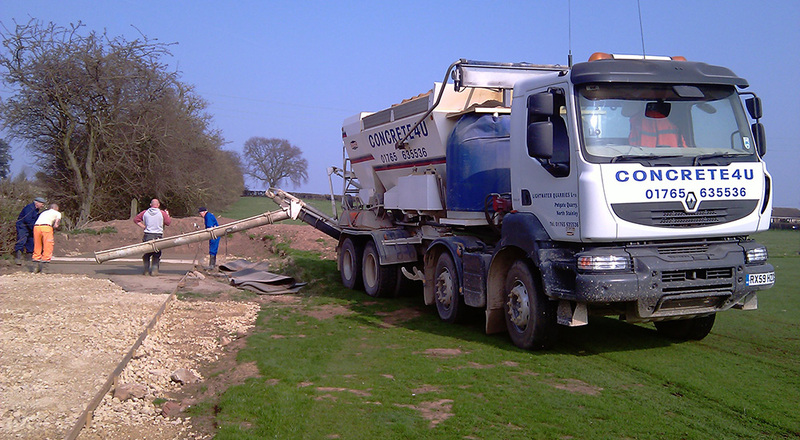 However if we are not open when you want your concrete, whether it is required in the middle of the night or a weekend afternoon just give us a call and we will endeavour to deliver at your convenience. We ask for 48 hours notice for all deliveries, the more notice you are able to give us the better! For weekend deliveries as much notice as possible is appreciated. Whatever happens, we will do our absolute best to get to you when you need us. For all orders please call 01765 635536.